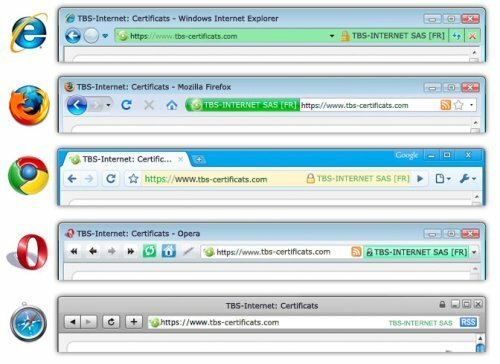 An EV SSL certificate installed on a machine triggers the green url bar in most browsers. That green bar is a visual garantee that the transactions are secured on a website. In 2007, several surveys showed that the green bar display generated instant positive reactions for 75% of internet users, a 15% raise of the purchase intentions and a 15% decrease in the abandonment of the purchase process. The EV SSL certificate is therefore a powerfull marketing tool that can boost your Ecommerce websites. Depending on your needs or your technical pool, you may need to buy additionnal certificates or licences.